RYB Kindergarten is currently seeking 1 teacher for the upcoming semester starting in March 2019. 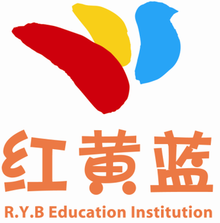 RYB is an established company with over 300 locations across China. Our newest location is currently open on the small island of Haidian Dao located just of the coast of Haikou city, on the larger island of Hainan. Haikou has been nicknamed the “coconut city” due to its many varieties of palm trees and is often referred to as the Hawaii of China. The island offers a warm year round climate, the cleanest air quality in China, a very low cost of living compared to bigger cities like Shanghai or Beijing and easy access to some of the most beautiful beaches in China. The school will help you to locate and rent an apartment of your choice and a free hotel stay will be provided for 3 days while an apartment can be secured for you. Complete support for all new teachers including help establishing a Chinese bank account, phone number, airport pickup upon arrival, and any other needs a teacher will have. The Requirements that we need: Please Read Carefully. Applicants that do not meet the requirements will not recieve a response. A Masters Degree in any discipline with no teaching experience OR a 4 year college degree in any discipline with 2 years of experience in teaching is now REQUIRED by the chinese government. Educational majors will be the most preferred field of study. The college degree MUST be from a native speaking country and it must be able to be validated by the Chinese government. Sorry we cannot accept teachers from non native countries. Teachers who are willing to sign a 1+ year contract will be highly desirable. A contract bonus and raise are applicable after 1 year of employment. A signed letter of reccomendation from your previous employer is also required by the Chinese government. Teaching young learners from 2-6 years old in age . A 30 hours work week - Monday through Friday, No office hours with weekends off. Additional paid holidays will be given according to the Chinese calender. An English environment of learning with 2 Chinese assistant teachers for every class. Only one class per day. No jumping around to multiple classrooms. Our teachers stay with one class all day. Must enjoy playing with children, laughing, games, and sharing your culture with the students. This is an exciting opportunity to be a part of a growing school with a dedicated staff of teachers. If this sounds like something you would enjoy doing or learning more about, please send us your Resume (CV) and a brief description of why you want to be a teacher in China. We urge you reply quickly because the hiring window is brief and positions are limited.